Responsive :The responsive design allows you comfortable control of your home devices using your smartphone or tablet. Everywhere : Open your Raspberry PI to the world and access your home automation app from everywhere in the world. Extendable: An elaborated plugin system makes it easy to extend the application with your own plugins. Websockets and a lot of other great technologies that were used in the project. Take a look in the package.json for a full list of used open source projects. The project is in active development and a very early prototype, so use it at your own risk! heimcontrol.js has two dependencies: Node.js and MongoDB. Unfortunately, neither are currently available in the Raspbian repositories. Compiling the programs yourself is a safe, clean solution, but takes many hours on the Pi. Cross compilation alleviates this, but is beyond the scope of this guide (see rpi-cross if interested). Installing a third party package is extremely convenient, but it puts you at the mercy of the packager, who may be neither trustworthy nor competent. In practise, using these packages for a hobby project like this is almost certainly going to be fine; but the security risk should be noted. Finally, if you’re not attached to Raspbian, you could just install a distro that does supply Node and MongoDB. Archlinux fits the bill — with the obvious consequence of needing to install and configure Archlinux.The first two options are described below. First, install the following packages, which are required for the compilation. Now, if your SSH connection is interrupted, you can reconnect and use tmux attach to continue the shell session. — it should of course output the version. If you are using a Raspberry Pi with 256MB RAM, then you have to edit the file /etc/dphys-swapfile and change the value of CONF_SWAPSIZE from 100 to 200. If the service starts successfully, you can move on to installing heimcontrol.js. With the Arduino plugin heimcontrol.js can communicate with an attached Arduino. The Arduino plugin builds upon the duino library and allows the Raspberry PI to communicate over the USB port to an attached Arduino. 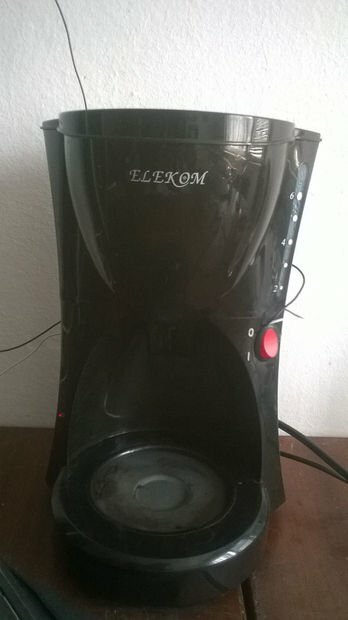 Heimcontrol in action with coffee maker .. This is pretty cool ! !